*To receive Early Registration discount, full payment is required. NEW: ONLINE Fibroblast Training now available! Courses are taught by Elize Layzell RN and Erica Arana-Kovitz. Together, they have over 35 years of experience in the Beauty industry. The kit includes a plasma pen device & training manual. 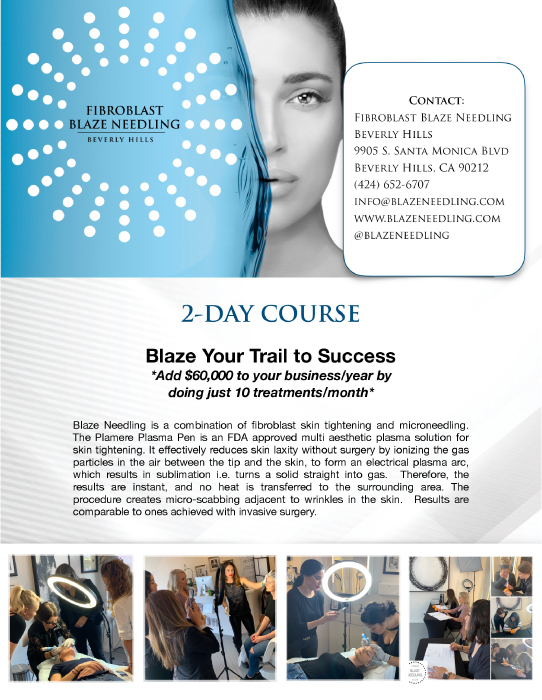 Learn our Blaze Needling techniques to help you achieve amazing results. Blaze Needling is a combination of Non-surgical Blapharoplasty techniques. Receive certification and warranty for your plasma device. ​Theory about plasma pen and Blaze Needling.